Steven Raichlen, host of the PBS show Steven Raichlen’s Project Smoke, returns to Kansas City with new insight on a cult favorite in the culinary world: brisket. “The Brisket Chronicles” is the definitive handbook to mastering brisket, featuring step-by-step techniques and a collection of recipes. Join Raichlen and Smoke ‘N’ Fire for an appetizing experience for the grill savvy and the enthusiast! Proceeds from this event benefit the children’s education programs provided by Kansas City PBS. Tickets available at Smoke ‘N’ Fire store location, online or by phone at 913-685-1111. Doors open at 6 p.m.; the demonstration begins at 6:30 p.m.
Steven Raichlen is a James Beard Award-winning author of an impressive array of New York Times best-selling cookbooks, a Barbecue Hall of Famer and the host of PBS shows Project Smoke, Primal Grill and Project Fire. He introduced America and the world to myriad iconic dishes that have become indelible parts of our barbecue vernacular. 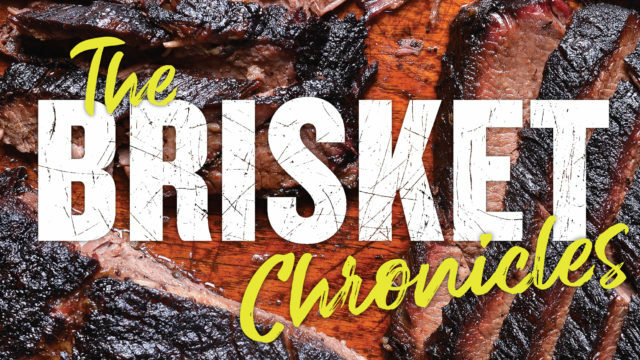 “The Brisket Chronicles” delivers both a complete step-by-step handbook to mastering the techniques — including how to cook brisket both indoors and outdoors, and the differences between brisket cuts — and a collection of 50 innovative recipes, from starters to breakfast to sides, plus what to do with leftover brisket.